Helps Sending Bulk SMS through PC or Laptop. Bulk sms enterprise is a remarkable bulk sms software tool developed to assist in sending bulk sms through pc or laptop by connecting mobiles through usb or bluetooth. User can connect unlimited mobiles and send smss from them simultaneously. The tool allows the users to send bulk sms to large number of recipients at one go. For this users don't need to add numbers one by one. They can easily import numbers from excel sheets to add large number of phone numbers at one go. Users have the option to add numbers one by one also. Software allows the user to send personalized messages to large number of recipients at one go. Personalized message option is very useful for those who need to send similar personalized messages to large number of recipients at one go saving precious time and effort. Using this feature user can not only send smss addressed by name to different mobiles at one go but can also send messages with different matter simultaneously. Tool provides many buttons to manage number list. Using these buttons user can prefix country code or area code if needed, remove numbers, empty phone number list, remove duplicate numbers and carryout more similar operations. User can send two types of messages by selecting 'send simple sms' or 'send flash sms' option. Tool provides a log containing details about messages sent, messages failed and time and date of message. Tool provides delayed delivery option also. User can send messages of different languages using this tool. Tool boasts of extremely fast processing speed and is compatible with different windows platforms like windows xp/vista/2007/2008 etc. Tool supports gsm mobiles. Bulk sms sender tools mandated to send bulk sms pc to mobile are being widely used by marketing companies to sell their products. These tools are also widely used in offices to send group sms to employees to share information. Recognizing the need for efficient bulk sms tools we have come up with this advanced text message software. 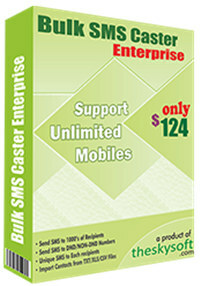 Bulk SMS Enterprise is an utility that works under windows xp, windows vista and windows 7. It supports both 32-bit & 64-bit windows editions, therefore it could run faster on 64-bit computers. Estimated download time for Bulk SMS Enterprise on a common adsl connection is less than a minute. 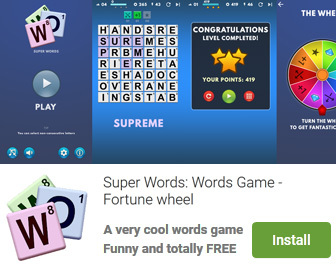 Version 4.5.0 was released eight hundred seventy five days ago by WinTech Soft. Click the green download button to download it now.